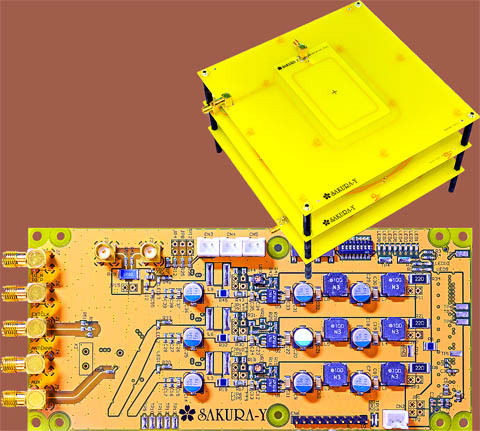 SAKURA-Y is a FMC doughter board on SAKURA-X (SASEBO-GIII) for contactless card evaluation. It has an ISO/IEC 14443A (MIFARE) reader IC and a external ISO/IEC 10373-6 test antenna. This board was developed by Morita-tech in a research project supported by METI (Ministry of Economy, Trade and Industry, Japan).